was published throughout all the region. Click picture to go to 'BOOKS' page. It is not just to publish our own material, but to coordinate, format, and publish other Christian materials including compiling comprehensive sermon series, Bible studies, and other preaching materials to be used by pastors and church members alike. Looking to learn more about the Bible and not sure how to start? Or just want a different way to approach Bible Study? Jesus’ was the world’s greatest teacher, so Dr James follows his example in creating his Bible Study Guides. Jesus tried to make learning about God simple. When Jesus was on the earth, he taught four different ways. Pastor James filled each book with loads of Bible Trivia questions. Questions to answer as you read through the Bible, chapter by chapter. Work your way through, chapter by chapter and you will learn what each wonderful book of the Bible has to offer. These books can really help learn the Bible. Works well for self-study or group Bible studies. Over the last 18 years Dr. Jimmy L. James has been writing Bible trivia questions and putting them into an easy to use book format. Each of these books contains an average of 15-60 questions a chapter. 1. There are also helpful outlines and summary tables to present the information in other ways that help you learn about each individual book. 2. There are 36 books currently available to date. 3. There are books covering the entire New Testament and most of the Old Testament. "Old-fashioned, Spirit-filled, Christ-honoring, sin-hating, soul-winning, Bible preaching! It is the hope of the church! It is the hope of the nation! It is the hope of the world!" Bible insight to 31 subjects on man's social and moral problems. To win the lost to a saving knowledge of Jesus Christ. To create materials to train new Christians in God's word. To produce materials to renew and refresh the mature christian. To provide Pastors, Evangelist, and other christians an inexpensive outlet for mid-level publication. To provide logistical and literary support for missionaries. To provide missionaries with comprehensive Bible Study material that they can use in their churches, schools, and colleges. As well as to give to their national pastors to be used in their churches. To foster serious discipleship with structured study of the Word of God. We publish material to a midlevel standard of professionalism. Without the outrageous cost of going to a printing press. We can produce smaller quanities that enable the writers to perfect their manuscripts without spending a fortune. Dr J L James provides the leadership and drive behind Amazing Grace Baptist Church and Amazing Grace Publishing located in Joshua, TX. 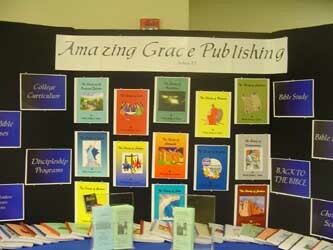 Amazing Grace Publishing is one of the outreach programs of Amazing Grace Baptist Church. It is focused on providing King James-based materials to local churches and those in the mission field. 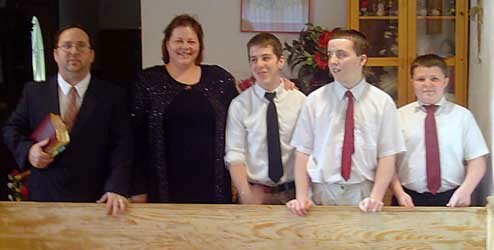 In 1997, the Lord led Pastor James to begin a new ministry, Amazing Grace Publishing. James was led by the Lord to write, publish, and distributing Bible Study Guides and other printed biblical materials to missionaries. Amazing Grace Publishing specializes in developing, publishing, and distributing KJV-based Christian materials for teaching new & mature Christians. It also provides logistical missionary support and publishes other pastoral materials with a focus on supporting the mission field with materials for Sunday School, rigorous Bible training and Bible College curriculum. Currently, Pastor J James has written 36 books and edited and printed over 50 King James Bible based books for other pastors. This material is in 14 different countries helping Christians to show themselves approved unto God, a workman that needeth not to be ashamed. Independent, fundamental and KJV only!